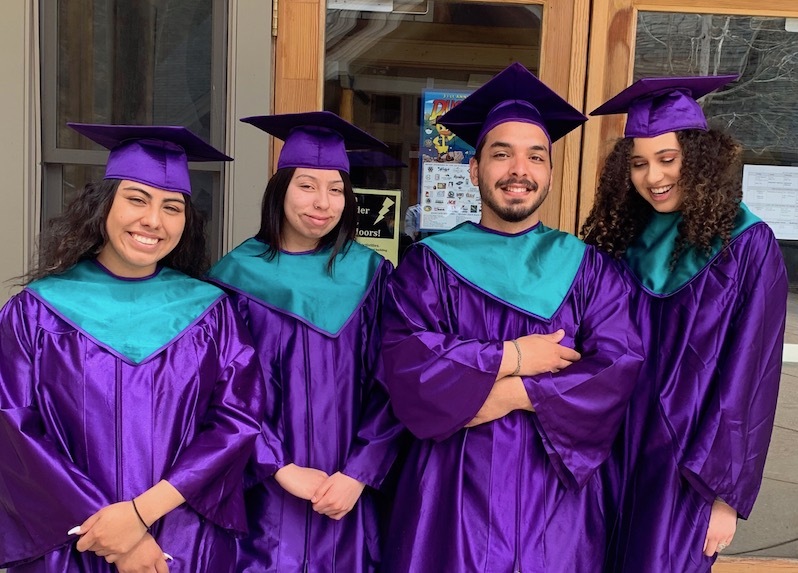 A huge event for us this Friday at Eagle Rock School & Professional Development Center is the graduation of three members of our student body. This is the latest of what is nearing 100 trimesters of pomp and circumstance, and it will be broadcast live at 4 p.m. Mountain Time on the Eagle Rock Facebook Page. Eagle Rock is a unique school, in that we put our full focus on teaching youth through an alternative form of education, with an emphasis on supporting students who come here from a diverse and underserved background. Our students arrive from all corners of the country to reengage themselves in their own education via a trimester system that culminates in their biggest achievement — graduation. This Friday, we are proud to support our three latest graduates as they walk onstage in our Human Performance Center to receive their diplomas, in full view of fellow students, families, administrators, teachers and staff. 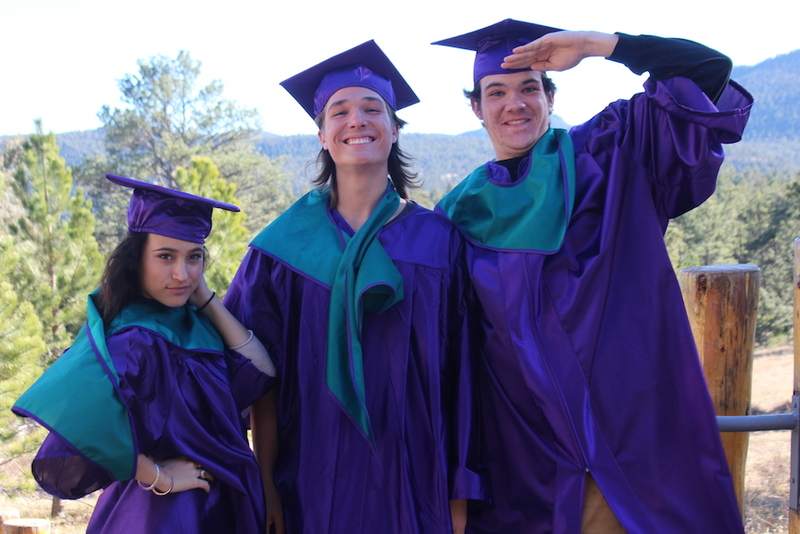 We recently asked these grads-to-be to sit down and write out a short biography about themselves, including their involvement at Eagle Rock School, their short- and long-term goals, and any advice they might want to leave for those who follow. 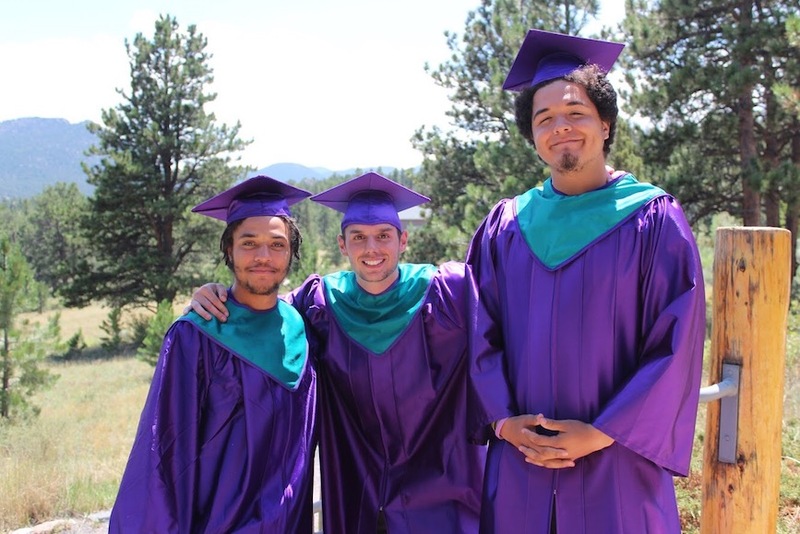 Because Eagle Rock School & Professional Development Center operates on a trimester system, we have the opportunity to enjoy three graduation ceremonies each year instead of just one. And this Friday, April 13, we are proud to announce that four of our students (Cha’Asia Rucker, Brianna Campbell, Jefer Gomes, and Carolina Avalos) will be so honored as they stand atop the Human Performance Center stage in front of their school friends, families, and staff to receive their high school diplomas — signaling a tremendous achievement for students once considered disengaged in their own education and growth. 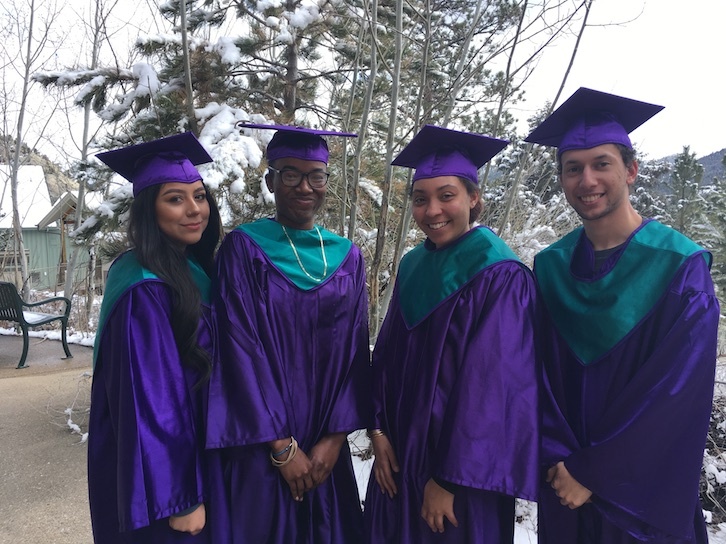 Technically speaking, each of this trimester’s grads has worked through all of the requirements necessary to earn a high school diploma from this progressive high school of ours that has been successfully graduating young adults with a promising future for the past quarter of a century. Friday’s celebration will be broadcast live at 4 p.m. Mountain Time on through our Facebook Page. For those of us who consider Eagle Rock School and Professional Development Center as our extended family, we pride ourselves on our independence, our desire to take control of our own lives, and our insistence on marching to the beat of a progressive drummer. Take, for example, our well-attended high school graduation ceremonies. Yes, we’re using the plural of ceremony because here at Eagle Rock, we have three of them each year. We honor this rite of passage for graduates of our fall, spring and summer trimesters and in this, our fall trimester, we have three incredible individuals who will be walking on stage this afternoon (Friday, Dec. 15) to receive their well-earned high school diplomas. This latest trimester graduation event — the 73rd since our founding back in the early 1990s — is being broadcasted live, beginning at 4 p.m. Mountain Time, this Friday via our Facebook page, at www.facebook.com/eaglerockschool.